Jorma Design is a small Swedish company that manufactures loudspeaker cables and interconnects at a variety of price points. The Jorma cables utilize very high purity copper wire, non colored Teflon dielectric, WBT Nextgen silver connectors and in some instances Bybee Quantum Purifiers. All are handmade and evidence a level of fit and finish that would not be out of place in a top quality German automobile. 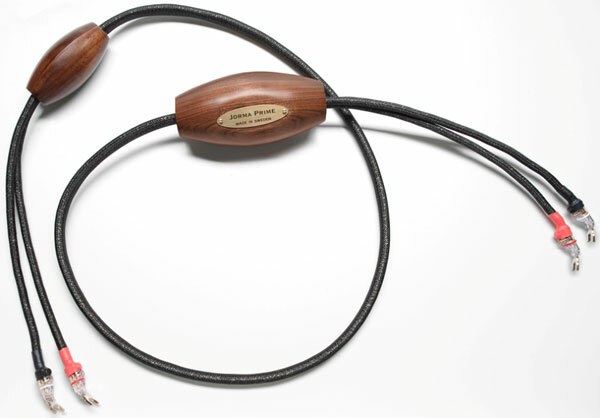 The Prime interconnects and speaker wires are Jorma’s statement products. 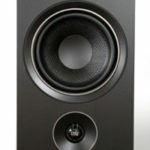 They were initially shown at the 2006 CES as part of a Swedish Statement System that also featured the Martin Coltrane Supreme speakers. 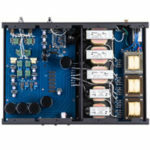 The Jorma Prime differ from other Jorma products in their use of 99.999999% pure copper,as a conductor, the use of the Bybee Slipstream Golden Quantum Purifiers encased in a non-resonant walnut enclosure, and in their geometry and shielding. The material used to separate the conductors is a special, ultra thin ceramic glass fiber. Inside the conductors are hundreds of these fibers. The conductors, tiny high purity copper or gold threads, are wound in parallel around these fibers. The conductor therefore forms a tube that has a thickness of 0.1 mm. As Jorma points out in their literature, a hollow tube would be even better but is not practical in normal use. These cables also employ sophisticated shielding which rejects radio frequency interference (RFI) and electromagnetic interference (EMI) and stabilizes the cables against vibration and microphonics. The shield is heavily braided, tin plated copper that works very effectively in conjunction with the special geometry conductors to reject incoming RFI and EMI. In reviewing/listening to cables, it is natural for the ear to focus primarily on tonal balance, whether light or dark, ying or yang. To do this is to severely limit the comparison. A number of other aspects of the sound are equally impacted by the choice of cables: phase accuracy, leading edge, timing, dynamics, harmonics, distortion mechanisms, etc. Perhaps even more importantly, resolution. There is a common misconception that more detail means thinner, sharper or more intrusive in sonics while less detail might go hand in hand with a warmer, smoother sound. This is certainly not the case with Jorma Prime cables which are significantly more detailed than with other cables that I have tried, but at the same time warmer and more liquid than, say, Nordost Valhalla. The enhanced resolution is at all frequencies and not at some narrow band of frequencies that has been elevated. I am always somewhat suspicious when another reviewer claims that the insertion of a single piece of interconnect transforms the sound of their system and that subsequent substitutions of the “magic cable” result in noticeable but less significant improvement. Nonetheless, I did start with a single piece of the Prime which I tried in various locations and then added one piece of interconnect at a time until all interconnects in the signal path were Prime. Separately, I inserted a single length of the Prime speaker wire into the system, then added additional pairs until the system was tri-wired with Prime speaker wire. In another listening session, I was able to compare the Prime against the Valhalla speaker wire and against the lower priced Jorma No. 1 speaker wire. While the results were predictable, they did suggest that when replacing cables in an existing system, there was a clear order in which cables should be replaced. The single most significant improvement came with replacing the speaker wire which was roughly equivalent in magnitude to changing all the interconnects in the signal path. Changing the interconnect from the source to the preamp also made a greater difference than changing the interconnect between the preamp and the amp, although each was dramatic. In a situation where the speakers benefit from bi-amping, replacing jumpers with a second run of Prime speaker wire was also clearly audible but less dramatic than the initial run to the speakers. There is also an additive effect, particularly with respect to changing out all interconnects in the signal path as well as speaker wire so that the entire signal path from source to speaker is cabled with Prime. This is equal in impact to changing out the cabling from the preamp to the amp. I am tempted to say that any other wire in the signal path obscures to some degree what the Prime is doing. Given that the cost of changing out two pairs of interconnect is roughly equivalent to changing out the speaker wire, I would suggest beginning with the source to the preamp and changing that first, followed by the preamp to the amp, and then the speaker wire. I compared the Prime to a number of other cables, including the William E. Low Reference, Audioquest Sky, Jorma No. 1 and Aural Symphonics. 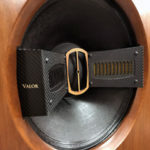 The comparison with Nordost Valhalla was quite telling. I have always had great respect for Valhalla’s speed, extreme bandwidth and detail/resolution but have shied away from using it in my system because of its tonal balance which has always seemed a bit thin and lacking in the midbass and a touch aggressive at the top. The Prime in comparison seems like an ideal mix of the Valhalla’s strengths, but with more body, a better foundation in the lower frequencies and an extended, but less aggressive top-end. The Jorma retains all the air and sparkle of the Nordost but with increased resolution and enhanced leading edge definition. They are more musical, more dynamic and quieter. By quieter, I mean that sounds emerge from a blacker background. I have noticed that “blacker background”, particularly with respect to power cords, often means that all low-level sounds whether musical detail or noise are equally attenuated, so that the end result is less resolution which often manifests itself as a loss of ambience and low-level detail. In other words, the loss of those things which tend to make a performance sound more like a live event. In the case of the Primes, the attenuation of EMI/RFI is not at the expense of the loss of musical information. The Primes are by a considerable degree the most resolving cables that I have used. By the same measure, they are also the lowest in noise. Dynamic shading is also considerably better on the Primes. This is particularly evident at the soft end of the spectrum. Bass has more power without being overblown. The Prime also does an excellent job of capturing the sound of struck instruments, favoring neither the initial strike nor the reverberant tail. Voices are more real, more fully fleshed out and contain more of those subtle details that suggest to the brain that you are listening to a live performer in a reverberant space. Lyrics are easily intelligible. In comparison to the Aural Symphonics Chronos, the Prime was voiced differently. The Jorma has a natural warmth and richness in the upper bass through the lower treble that gives a very realistic body to stringed instruments. Struck instruments have both air and articulation. Size and placement of instruments on the stage is quite believable. The Jorma is virtually perfect in the midrange. Struck bells have somewhat more presence on the Aural Symphonics but suffer from a slight thinness not present with the Jorma. While the Aural Symphonics does an excellent job of separating the voices in a massed choir, the Jorma is equally discerning but again richer and somewhat better at catching the interplay of different voices, and more emotionally revealing. The AS is equal to the Jorma in recreating ambience but has a slight edge or bite, actually more of a brass-like sheen. The reedy sound of a saxophone is a touch more prevalent on the AS than the Jorma. With respect to the William E. Low (Audioquest) Reference versus the Prime, the Audioquest has a more prominent upper bass/lower midrange. This is particularly evident in the sound of a bow drawn across the strings of a violin, viola or cello. The Prime has significantly better leading edge definition and is much faster, with the AQ sounding a bit slow and soft in comparison. Staging and depth are very natural on both. To the extent that the AQ has a weakness in comparison to the Jorma, it is in ambience retrieval and top-end extension. In particular, the top-end of the WEL is comparatively soft or rolled off. The resulting sound is euphonic and less accurate subjectively. The Prime provides a level of resolution, refinement and clarity that in my experience embarrasses every other cable which I have tried in my system. This, combined with a natural warmth and richness in the upper bass through the lower treble, gives a very realistic body to stringed instruments and voices. It has an ability to convey the richness and warmth of live, unamplified music without sacrificing detail or articulation. Percussion is also very well served, preserving leading edge but not at the expense of truncating the reverberant tail. Size and placement of instruments on the stage is quite believable. The stage created has nice width and depth perspective. Depth is layered. Image focus and edge definition are again excellent. These parameters are also extremely software dependent. The cable itself does not seem to impose a particular acoustic on the music played. Instead, the nature of the piece of music, the recording venue and the manner in which it was recorded dictate the size of the stage. An orchestra performing a large scale work will occupy the full width of my room extending far to the outside of the speakers, and depth will seem to push the back wall into the yard. With respect to more intimate works, the stage will appear much smaller. Not every CD or record has an expansive stage or incredible depth. In general, well recorded instruments are surrounded by a blanket of air and appear three-dimensional with believable body cavities. This is a cable that gets the midrange right. Baritone, as well as massed female voices, are well served. If this cable sacrifices anything, it may be some extension in the top most octave; however, the cables with which I am familiar that have a bit more extension at the top are also plagued by various amounts of what I would term a metallic shade. Likewise, it may exhibit slightly less power in the lowest octaves than some competing cables although this is not really a lack of extension. In my system, I find the Jorma Prime’s reproduction of the bottom two octaves to be almost perfect. The Primes are more musically “right”, more truthful and less fatiguing than any competing product with which I am familiar, and infuse musical performances with a degree of liveliness and energy that suggests the real thing. This cable also handles dynamics well. 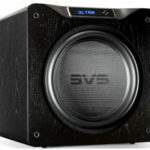 It can play loud, but more importantly given its low noise floor, it does an excellent job of differentiating shifts in volume at the softest end of the dynamic spectrum. To the extent that the Primes have a negative, it is clearly the elevated price. While the Primes are expensive, they sound better than most, if not all, cables that cost even more—sometimes significantly more. Not surprisingly, Jorma’s less expensive cables bear an unmistakable family resemblance to the Prime, and stand in a similar relation to the competition. Shortly after I had finished the initial review of the Jorma Prime interconnect and speaker wire, Dan Meinwald, the importer, contacted me to let me know that Jorma had a new Prime product. My initial response was of dismay, thinking that the months spent listening might be invalidated by a new Prime product. As it turned out, the “new” product was an AC power cord which supplements the existing cables, and resembles the interconnets. I immediately launched into a series of listening sessions, comparing the Prime power cord against others that I have on hand: First those which do not incorporate Bybee technology, such as the Nordost Valhalla and Isoclean, then switching to cords which did incorporate Bybee modules, such as the latest Tweek Geek (incorporating ebony encased Bybees and plugs) and Bybee’s own cables (various versions all using the latest SE technology). While I have no desire to bore you with extended comparisons, I can say that on instruments like the saxophone and double bass, their sound with the Prime AC was more detailed, more resonant, and more tonally and harmonically complex. As one listener commented, the sax was more expressive and did a much better job of conveying rhythm and emotion. Voices were also particularly well served. In comparison to the best of the cords incorporating Bybee SE modules, the Primes had more presence and detail, somewhat less bass (particularly with respect to the Tweek Geek cords) but much better control in the bass. Most importantly, the Prime AC gets the midrange right. It also handles dynamics well and has an extremely low noise floor. Not surprisingly, the Jorma Prime AC cord is consistent in approach to their interconnects and speaker wire and enhances their effectiveness. The Prime power cords are without Bybees. Just one critique of the review. It would have been nice to compare the Primes to something near their price point and well known and respected. The Valhalla’s help somewhat by comparison to understand the sonic signature of the Prime. The Valhalla’s are an older design that has been surpassed by many PC’s that cost substantially less. Again, more high end current PC designs closer in price to the Prime would have given the readers a better handle on the the sound and relative value of the Prime. At the time of the review, I unfortunately did not have access to other cables that were comparably priced. For what it is worth, I continue using the Prime in conjunction with Nordost Odin 2. I find the combination of the two to work well.